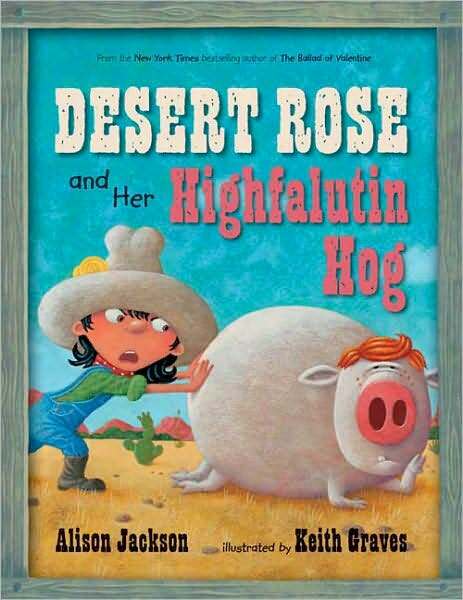 When gritty pig farmer Desert Rose finds a gold nugget, just a-lyin’ there in the mud, she decides to buy herself the biggest, fattest hog she can find. But getting that highfalutin hog home in time for the Laredo state fair proves to be more than Rose bargained for. When a cold-hearted coyote, persnickety snake, lethargic Texas longhorn, and a whole host of other southern varmints prove to be unhelpful, Rose must pair up with a shrewd armadillo to get every animal over the river and off to Laredo in time. This partic'lar offering combines regional dialogue and a sophisticated vocabulary in the name of tongue-twisting, folksy fun.